has been hand-forged using some old recycled 3/8″ copper tubing. 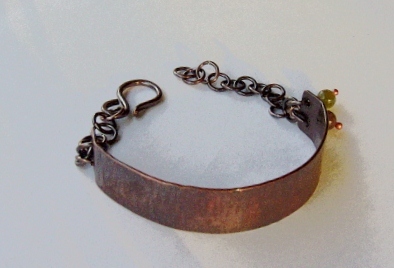 Chain is made from 16 gauge hand cut copper jumprings and closes with a hand-forged 14 gauge hook clasp. 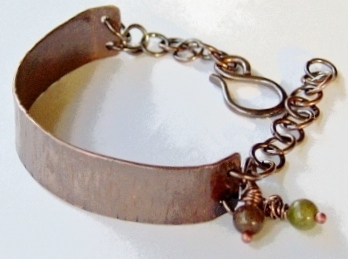 Two jasper gemstones dangle on the side of the cuff. Oxidized then tumbled to bring out the beautiful warm color.